injury. Similarly, injury can result from increasing resistance too soon and beyond appropriate levels. Our approach to personal training minimises your injury risk by selecting exercises appropriate to your fitness level and progressing your exercises or resistance only when proper, controlled technique is demonstrated. Also, our personal trainers have the professional ability to address any existing injury or condition you may have and incorporate rehabilitation strategies into your fitness plan. injury risk, your personal trainer will ensure gradual progression in your exercise. This involves incremental increases in any resistance or volume of work only when appropriate. Finally, prior to starting any of your workouts, your personal trainer will complete a thorough warm-up of each exercise in addition to ensuring selected exercises are suited to your fitness level and experience. Muscle balance is essential for normal movement and function. Muscle imbalances occur when certain muscle are stronger or weaker than others due to injury or overuse. This is an area of our personal training we closely consider as imbalances can impair your performance and prevent goal achievement. Your personal trainer will determine if you have muscle imbalances and immediately incorporate a plan for resolution. This may involve the integration of specific exercises, be manipulating your exercise prescription, or applying appropriate physiotherapy techniques. We detail any imbalance correction in your goal plan and use objective assessment methods to determine if your imbalances have corrected over time. It is common for our personal trainers to work with clients with existing injuries. 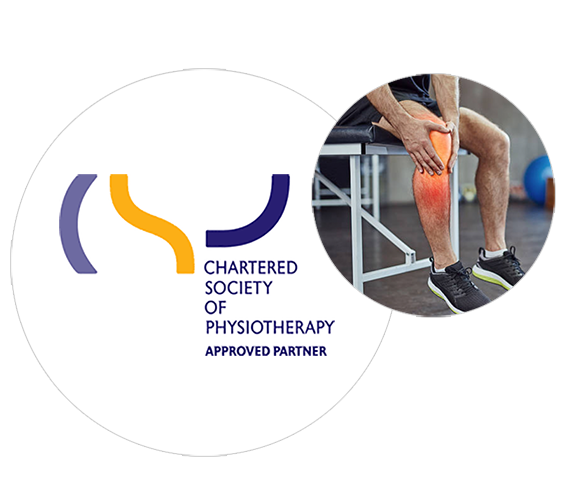 Our team is equipped with Registered and Chartered Physiotherapist that have the professional rights and abilities to address injuries and long term conditions. If you incur an acquire or maintain an existing injury, our personal training team will develop an appropriate plan for resolution. This can include corrective strength exercises, mobility or flexibility work or manual physiotherapy. Importantly, rehabilitation strategies can be made to fit with other goals you desire like weight loss, toning or muscle development. Our client education moves beyond exercise and nutrition to help you acquire knowledge about movement mechanics and how muscles and joints function to complete exercises. Research shows that by focusing on the contraction of working muscles during exercise, performance can be greatly enhanced. We will provide you with a basic understanding of muscle function including what muscles to feel and focus on within each exercise. This understanding will help you develop your knowledge on how to perform exercises correctly and give you more confidence and independence in your workouts. We strongly believe that personal training should equally be a results driven and educational experience. The true end result is to adopt a lifestyle approach that allows you to keep your results long-term.